When coming down the floor against a set defense, entries can be used to move the defense to help free open the first pass into the offense. In "loop", 1 passes to 3, then 1 and 2 cut to the inside. 5 pops up to the top of the key on 1's pass. 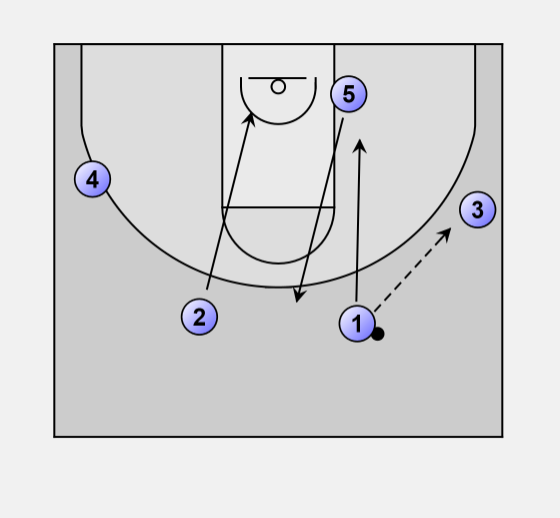 3 passes to 5 then moves with 4 to set screens on the blocks. 5 passes to either wing. In this case to 1. 1 dribbles at 5 who cuts backdoor. 2 has cycled back up top, and 4 and 3 pop back to the wings. 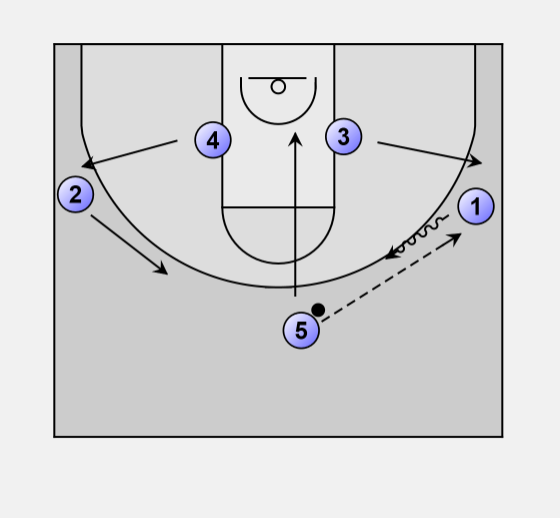 If 5 doesn't get the backdoor pass, the players are back in their original positions, and 1 can wave 2 through to begin "high", pass to the wing and cut through to begin "low" , or run another play.